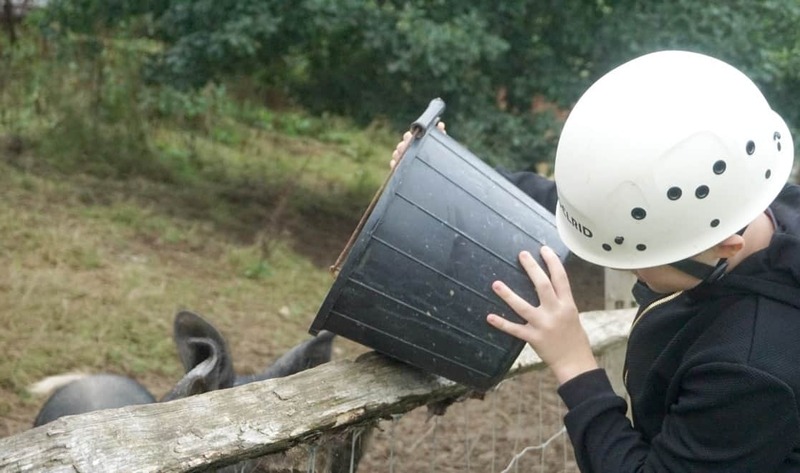 I honestly had no idea what to expect when we visited The Down To Earth Project in Swansea, but it is a great family activity for families with teenagers. 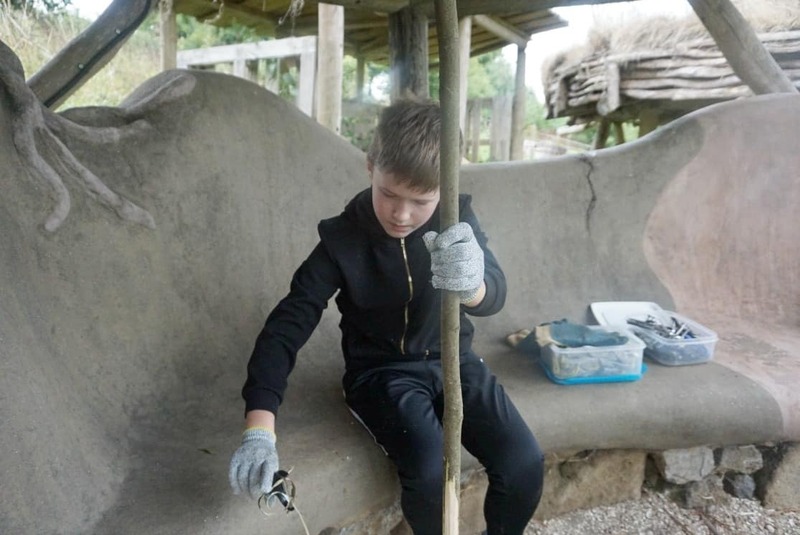 Based in Murton, Swansea The Down To Earth Project is all about spending time together as a family and re-connecting. 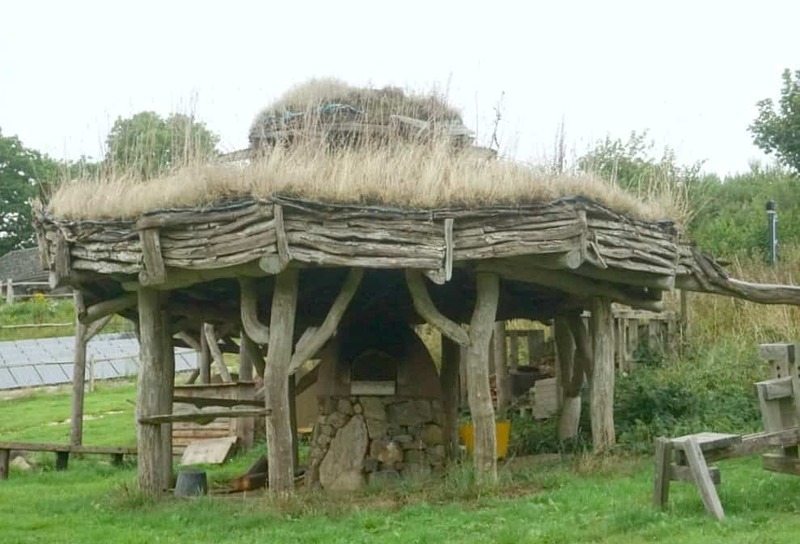 The site offers many different types of experiences such as school collaborations, members of the public can book experience sessions and days and corporate events. The concentration is on learning skills whilst gaining confidence and having the time to reconnect as a family. Despite tasks being challenging as soon as you arrive on site you feel calm and welcome. The only way I can describe it is, it is like a warm hug. Barney our instructor met us in the car park and made us feel instantly welcome. Once introductions were over Barney spent some time telling us how the site works and all about its sustainability goals. All buildings are made from natural products from the land and it’s a real team effort. As such you can feel the pride everyone involved has in their surroundings. 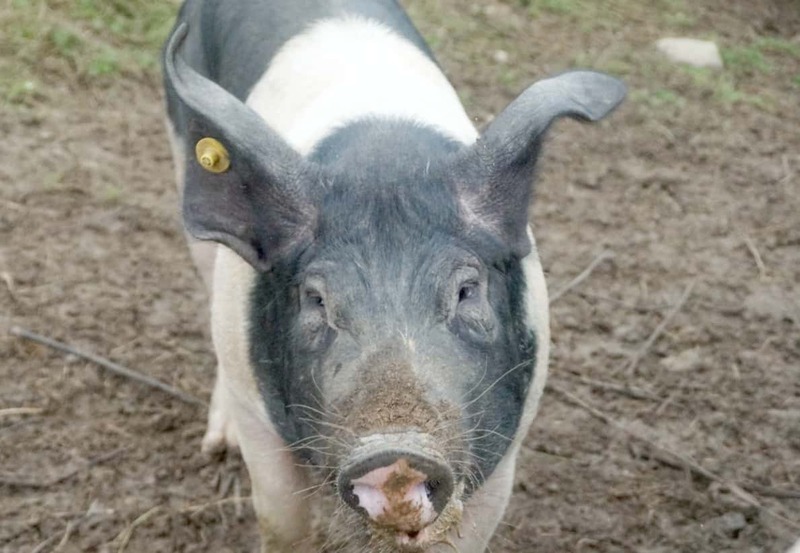 As we made our way around the site we got to meet and feed the pigs, which is all part of the involved experience here. It’s amazing how calming it is to just stand and watch the pigs enjoying their lunch of pellets and juicy red apples. And before you know it you have forgotten the physical challenges ahead of you. This may be a small thing, but if you are nervous about an activity then it’s the subtle things like this that make you relax and feel calm and ready to take on a challenge. 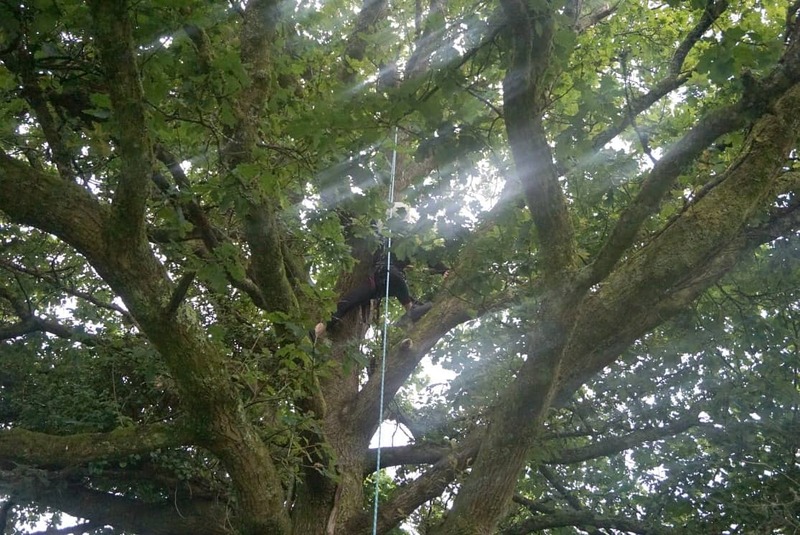 We were lucky enough to take part in the Down To Earth Experience, which included climbing a tree. Not just traditional tree trekking, but climbing a real, huge tree. The activity was all based around teamwork, thus meaning we were all in charge of each other’s safety ropes and motivation. I have to say I did wonder if I trusted Joe with my safety rope, but the activity was well led by Barney, allowing us to take charge but with a clear concise safety brief. 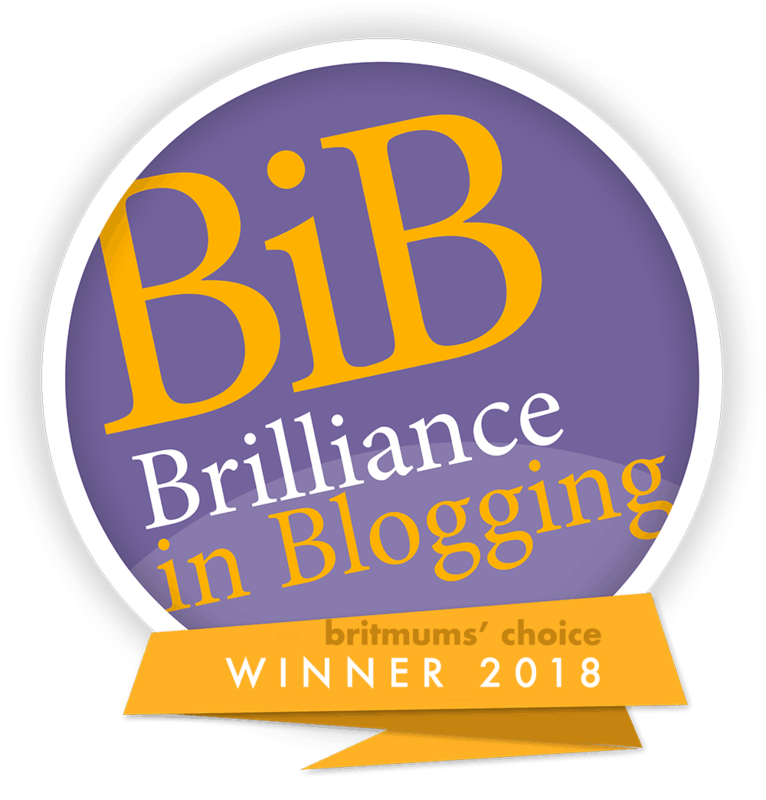 This also meant that although we had so much fun we took it seriously, I am proud of how Joe took on his responsibility and worked really hard as part of the team. Which can be a big ask when you are 12 and excited about an activity. It was physically hard; the tree bark was wet and slippery. I am not a natural tree climber and as such only got half way, (Which was very high) and decided that was far enough for me. However Joe would not have it, and coached me to the top. Something I would not have done unless I had the support of Joe and Chris cheering me on. They of course negotiated the tree in no time. But you know what, it may have taken me longer but it felt like such an achievement. The hilarious part is the abseiling down, when Chris made his descent Joe was attached to the bilay. This meant as Chris came down the weight pulled Joe up. I had to hold on to Joe with all my strength, we were crying with laughter. Chris was none the wiser as what was going on, on the forest floor below him. 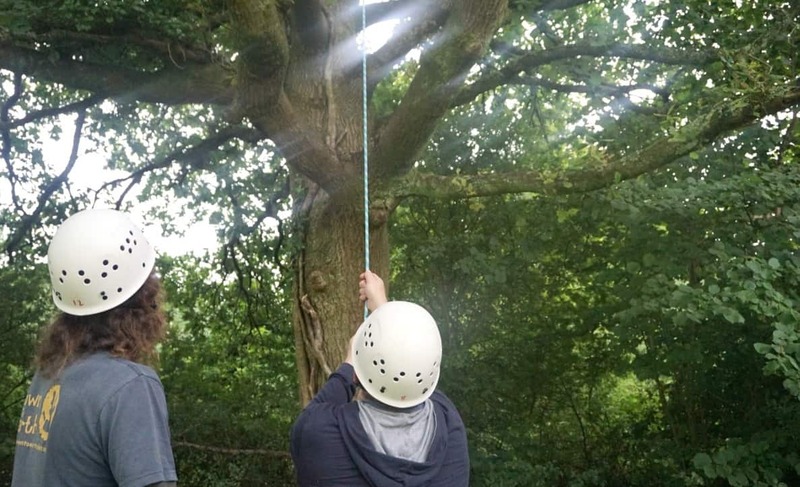 Tree climb over, we all enjoyed a cup of coffee as we discussed our next activity, stick carving. Have you ever carved a stick? No me neither! But let me tell you, this is the most therapeutic activity ever. We started by peeling our sticks ready for carving. 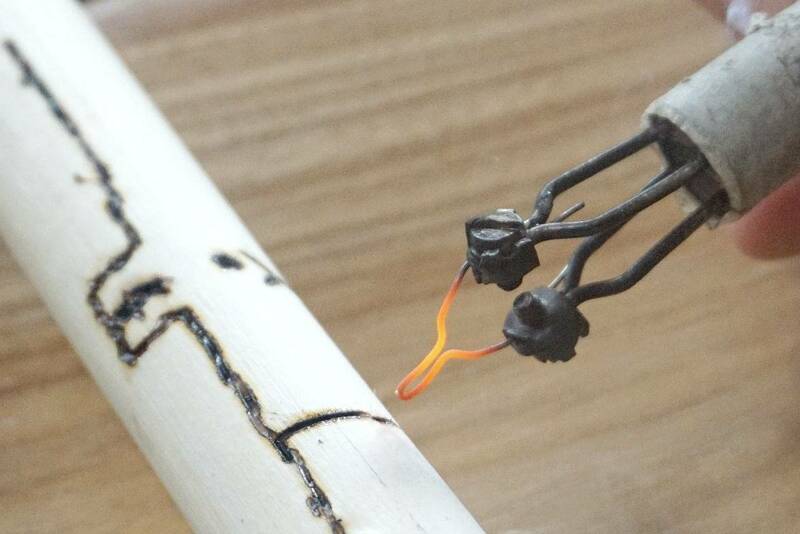 Once the sticks were free of bark we were able to use carving burners to draw and carve patterns into them. We may have spent an hour in contented companionship carving and designing our sticks, feeling very calm. I think I can speak for us all when I say we could have sat like that for hours. Just being creative and feeling relaxed it was wonderful. We left The Down To Earth Project feeling uplifted; it really is a unique experience and one we all thoroughly enjoyed. This is such a wonderful family day out in Wales but with a difference. I love having the opportunity to try something new a difference and Down To Earth most certainly offer that in abundance. Check here to find out what other activity days they offer.